I met Frankie Robertson at my RWA meetings, and she has been a wealth of knowledge and support. As I step into the world of self-publishing I am constantly grateful for her blog and that she still responds to my desperate freaking out emails! LOL! As a reader, my first love was science-fiction and fantasy, but then I discovered the romance genre. Now I enjoy blending the two, writing romantic fiction with an otherworldly twist. With a background in property management, occupational therapy, and paranormal investigation, I bring a diverse experience to my stories. In fact, it was my time as an investigator with the Western Society for Paranormal Research that inspired one of the characters in VEILED MIRROR. I live with my husband in the desert southwest and we have a back yard that’s regularly visited by hawks, bobcats, lizards, and quail, while the coyotes sing to us from beyond the fence. How old were you when you fell in love with reading? Can you remember what book/ books it was that inspired you? I was eight. My aunt sent me a copy of Lewis’s THE LION, THE WITCH, AND THE WARDROBE for Christmas. (I still have it.) My mother started out reading it with me, but then said, “If you want to find out what happens, you’ll have to finish it yourself.” I did, and a voracious reader was born. LOL- what a sneaky mom you have. I loved those books too, I read several in the series more then once. We all have favorite books, ones we nag our friends to read, buy our loved ones as gifts, and the biggy, the books we read over and over again. What books have you read more than twice? Lewis’s THE VOYAGE OF THE DAWN TREADER is still one of my favorites. I’ve probably read it, or parts of it, half a dozen times. Having read Tolkien’s Lord of the Rings Trilogy was a qualifying question for my husband. (He’d read it seven times, so he passed.) In romance, Jo Beverley’s HAZARD is one I’ve read four times. And something about Rachel Lee’s IMMANENT THUNDER really works for me. I’ve read it three times. I really love watching HGTV. Since I was a kid, I liked to draw houseplans. We’re all supposed to be eating healthy, but what naughty treat tempts you the most? Reeces’ Peanut Butter Cups. I debated the relative merits of the full size vs. miniature size cups with with Ozzy Osbourne’s drummer Randy Castillo over dinner at my brother-in-law’s house. We both agreed, the miniatures are best. Yum! I think I need some now. What is the best advice you give, but hardly ever follow yourself? Where is the weirdest place you’ve ever written? I would be too nervous to write there. Even cleanings make me shaky. Give us a super secret peek into what you’re working on next? DANGEROUS TALENTS will be coming out this spring. It’s the first book of the Vinlanders’ Saga. It’s a romantic fantasy set in the alternate dimension of Alfheim. As a 911 operator, Celia Montrose has been trained to deal with any emergency — except being thrust into another world. No amount of crisis management training could possibly prepare her for meeting the descendants of the lost Vinland colony or coping with their strange world. Only her innate courage gives her the strength to face kidnapping, murder, and betrayal, as well as magic and romance. Lord Dahleven is trying to avert a war when he rescues a strange and beautiful woman from the drylands. Is she in league with his enemy, or will Celia be the key to saving his people? I can’t wait for this to come out! As I’ve read your other books I know I’ll enjoy it. Many thanks to Frankie for stopping by and answering my odd questions. 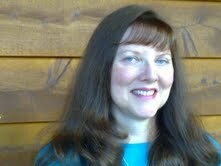 I hope you’ll check out her Blog and visit Website for news of upcoming releases. Jared Price is a Celestial, one of a race of beings often taken for angels. Exiled on earth, he’s offered a chance to return to the Celestial Realm. All he has to do is protect Cassie Lewis from a demonic assassin. A genuine psychic, Cassie can’t resist Jared’s Celestial aura, but she doesn’t trust him. He’s hiding something behind his strong mental barriers and she’s learned the hard way that what you don’t know can hurt you. But when a demon tries to kill her, Cassie has no one else to turn to. Then the stakes are raised even higher, and Jared must decide if Cassie’s love is worth sacrificing a dream he’s held on to for 150 years. Beth Hart is alive and well and hunting for her killer. When her brother-in-law Chris and her twin sister Ellie die in suspicious accidents, Beth impulsively switches identities with Ellie to lure the murderer into revealing himself. Beth can’t rest until she finds the killer, and neither can the real Ellie who haunts Beth’s dreams, sometimes providing clues. FBI fraud investigator Jason Blackforth fell hard for Beth at Chris and Ellie’s wedding, but he left her as quickly as he found her—undercover work and relationships don’t mix. Now, grieving and believing Beth is dead, Jason is appalled to find himself fantasizing about the widow of his best friend. He wants to help “Ellie” through this difficult time, but she reminds him so much of Beth. Something just doesn’t add up. Can he discover what secrets the widow is hiding and find the killer before they both end up dead? You can find Frankie’s books here. Thank you Alica and Frankie. Great interview! I, too, remember reading The Lion, the Witch, and the Wardrobe and the feeling I had after reading it sticks with me today! I’m sure it’s one of the reasons I became a voracious reader. I always like to hear an author’s favorite or first favorite books. Frankie, I’ll have to look into Jo Beverly’s HAZARD. Enjoyed reading your interview with Frankie. Well done. Thank you Vicky- I’m looking forward to her next book too. Thanks, everyone! And thank you, Alica for giving me the opportunity to share my journey with your readers.